The U.S. Border Patrol operates an immigration checkpoint on U.S. Highway 77 near Falfurrias, Texas. The stop is about 80 miles from the Texas-Mexico border. The sheriff says smugglers will, on a daily basis, drop off groups of migrants south and west of the checkpoint and march them through the ranches to other roads located north of the point. 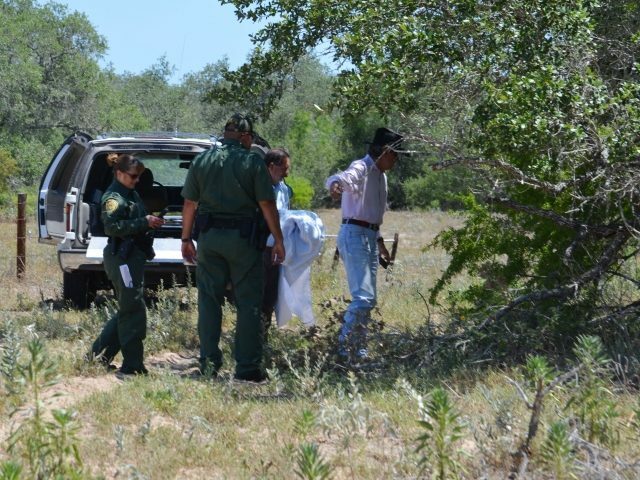 Just last Friday, Martinez’s deputies were called to a ranch by Border Patrol agents who had discovered the skeletal remains of a migrant who was abandoned by the smugglers. The deputies and a justice of the peace from Brooks County went to the scene to make the death declaration and recover the remains. Martinez said body decomposition makes determining an accurate age of the deceased migrant difficult. The sheriff said that being left to die is not the only abuse faced by these migrants along their journey. So far this year, the Brooks County Sheriff’s Office has processed the remains of at least 32 illegal immigrants who died in this one jurisdiction located 80 miles from the border. This is up from 28 during the same period in 2017. With the summer heat approaching, Martinez expects the numbers to continue to rise. This year, 124 illegal immigrants have lost their lives in an effort to illegally enter the U.S. along our southwest border with Mexico, according to the Missing Migrant Project. Brooks County represents more than 25 percent of that U.S. total. Nationally, the number of migrant deaths is down, but only slightly, when compared to 2016 and 2017. However, the number of deaths is significantly higher than 2014 and 2015, the Missing Migrant Project reported.